How can I log fishing locations or save my fishing history on a map? Fishing success or failure can often repeat in each fishing spot based upon the same conditions matching like temperature, water, or time of year. Marking map locations with pins and including your own detail about each fishing event is a great way to improve your fishing success along with being able to look back years later and view all the different locations you have fished over the years. Future fishing trips will allow you to simply tap the colored pins on the map showing whether you previously had success or not in each different fishing spot. 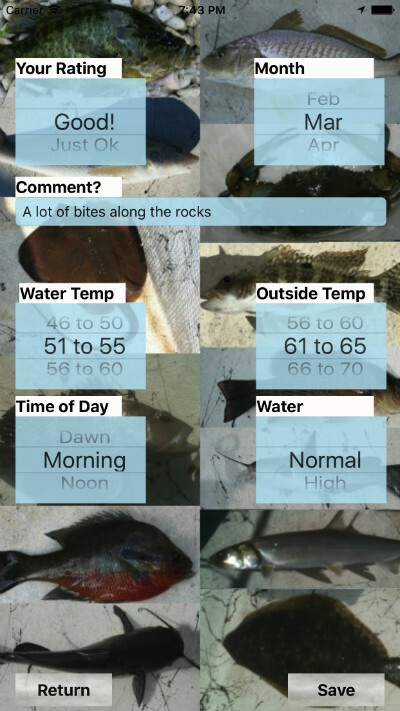 Entering conditions for each location you fished like temperature, month, water conditions, and even a comment box will allow you to matchup your current conditions with the successes or failures fishing in the past in the same area. 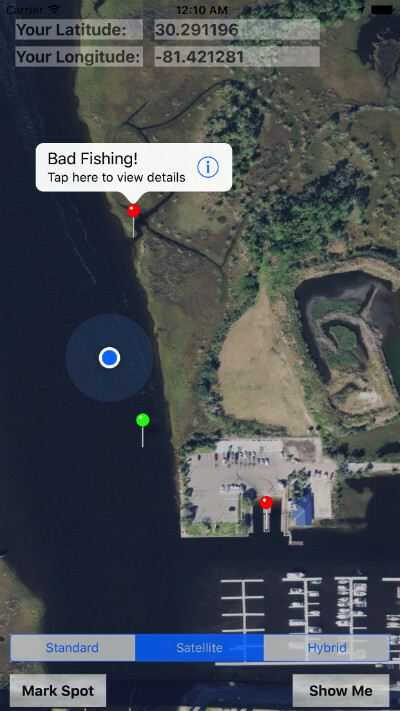 The app "Fishing Map & Track" is shown in the screenshot below. This allows you to log all your fishing details so in the years ahead you can simply zoom in the map to look at your previous fishing history. It allows you to give a rating on each fishing spot when you mark the map, so that a colored pin easily identifies good vs bad. It always shows you current location whether you are out boating on a lake or simple shore fishing along rivers or ponds. This is an app I wish I had used since I was a kid so I could look back and view every river location and pond location that I have fished over decades, along with viewing which fishing spots were best or worst. This data is private on only your phone which will allow you to keep your fishing spots and fishing history secret.